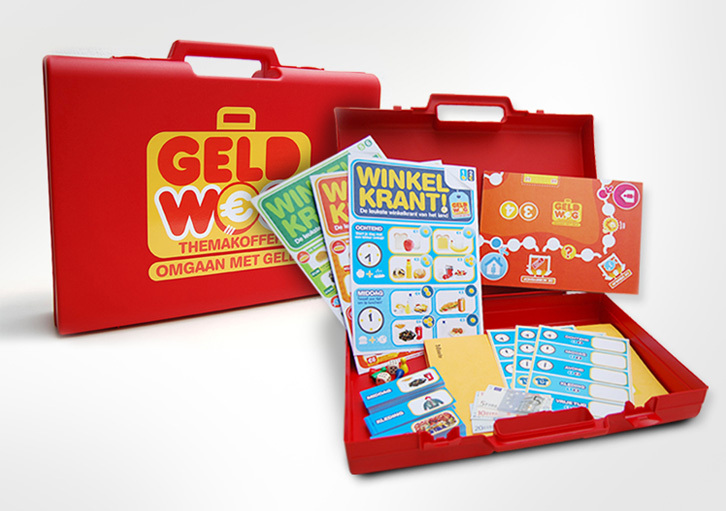 For the OCMW (Social Wellfare Office) of Zottegem, Seven designed a board game to teach primary school children in a playful way how to handle money and prevent them from getting into debt. 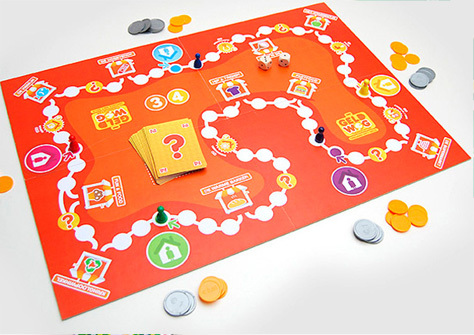 Roll the dice! 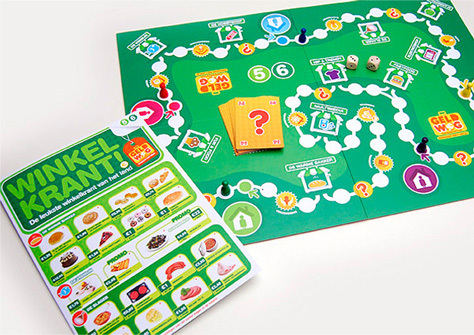 In the game, players have to buy groceries, while keeping their budget in check. 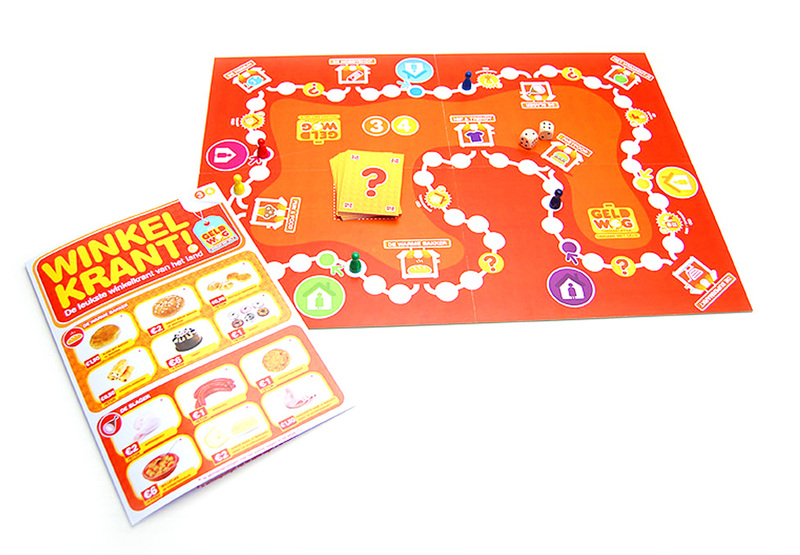 The game is distributed to primary schools in the town of Zottegem. The target group required the use of a rugged case to hold all the game elements safely together.